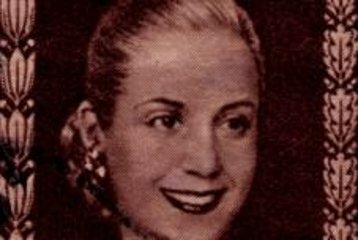 Starting in Recoleta after pickup at your hotel, learn about Eva Peron's life and upbringing from your knowledgable guide before visiting her famous mausoleum at Recoleta Cemetery. Then, stop by “Floralis Genérica,” one of Buenos Aires' most famous sculptures on the way to the city's largest green space, Palermo Woods. Home to the Galileo Galilei Planetarium, the polo field the the hippodrome, this is where many residents of Buenos Aires spend their leisure time. Chinatown is the next stop on your city tour, a fascinating pocket of Chinese shops, restaurants and culture in the middle of this South American city. Visit the Eva Peron Museum, a cultural treasure dedicated to her life and work. The museum houses hundreds of Evita artifacts, from her books and films to her high-fashion wardrobe. Eva Peron is one of the most important figures in the history of Argentina, and this tour is fascinating for anyone who's invested in learning about the political background of both the country and its capital city. The tour ends with drop-off at your hotel. crypt but stopped and gave us information on other family crypts as well. The museum was also interesting. Worth doing. The tour was let down by the refusal to collect and return to our hotel as shown on the booking confirmation form. The impact was that we had additional transport costs, taxis etc. All other tours collection and drop off were to our hotel. Our tour guide was great it was just a little disappointing b/c when you went through the museum of Evita it was all in Spanish. She could not come in and explain everything. They had an app you could download but none of us wanted another app on our phone to download. Plus we did not bring earphones so we could not have listened anyways. I feel like that should change. told her, she willingly took us to see BA Chinatown. This was a great and informative tour! My daughter and I were the only ones on the tour that day, so we had the company of a wonderful guide and driver! We are very interested in the Peron era, and enjoyed hearing about the history and visiting the museum and cemetery! Wonderful! It was an interesting tour and learned a lot about Evita Peron. However, since it was me and my mom, we toured in a very small car that was really bad on my knees and hard for my mother and I to get in and out of the car. An uncomfortable ride, but the tour was good. Highly recommend travel in a midsize car. A very good tour highlighting difference aspects of Evita's life. The tour guide, Elba, was fantastic, and she gave us a great overview of Eva Peron's life and legacy. We began at the Recoleta Cemetery, to view the mausoleum where Evita's body is now resting. Next came a few brief stops in the city on the way to the Eva Person Museum in Palermo -- which we found very interesting and well-done. After the museum, back on the bus to see the Casa Rosada, the pink house where Evita gave many speeches. This tour was just the right length of time, with the right mix of information and experience, and I recommend it highly. Fantastic! Melissa was great in providing answers to all questions. The tour was fine. They were about 30 minutes late picking me up. However, once the tour started, it was quite engaging. I enjoyed the museum highlighting Eva Peron's life. She was simply amazing. Sat on bus for an hour waiting for guide.. She had to get back from other tour and was hoarse. We were only English speaking customers so we had to wait for Spanish info then she would say a few words.. so crowded in the streets.. the Evita museum was interesting but very small.. Had some captions in English If this was the only tour of Buenos Aires, we would have been very dissappointed.